Introducing DO or Die | MAKE IT to Build IT | Cut on Your Bias! I work in Bias! Fashion is the one place true Bias takes on any beauty! So what IS the Bias I speak Off. For many this is a difficult cut to work with, But i’d love to share my technique! actually I’ve made a commitment to pass it on! the skill that is! Last Month I decided to take a fresh look at How independent designers used the website and their product , services and Merchandise menu! Product is easy we make clothing… However I always have had a designer Apprentice or shared the techniques I used! So I’m adding workshops, Make IT or Build IT! for the DIY sewing lover! What’s more I encourage them to make it to sell! 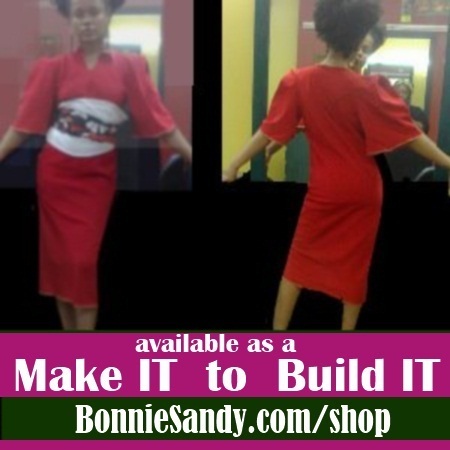 MAKE IT to Build IT… is essentially a special Type of workshop that teaches you to make the items! To intro this special I’m offering items with a special Bias cut technique! DO or DIE .. is an special ridiculously low offer for a limited time! The Catch You’re helping me test a new product or workshop! From Wikipedia The bias direction of a piece of woven fabric, usually referred to simply as “the bias”, is at 45 degrees to its warp and weft threads. Every piece of woven fabric has two biases, perpendicular to each other. Non-woven fabrics such as felt orinterfacing do not have a bias. Woven fabric is more elastic as well as more fluid in the bias direction, compared to the on-grain direction. This property facilitates garments and garment details that require extra elasticity, drapability or flexibility, such as bias-cut skirts and dresses, neckties, piping trims and decorations, bound seams, etc. The “bias-cut” is a technique used by designers for cutting clothing to utilize the greater stretch in the bias or diagonal direction of the fabric, thereby causing it to accentuate body lines and curves and drape softly. For example, a full-skirted dress cut on the bias will hang more gracefully or a narrow dress will cling to the figure. Bias-cut garments were an important feature of the designs of Madeleine Vionnet in 1920s and 1930s and bias-cut styles are revived periodically. In the Middle Ages, before the development of knitting, hose were cut on the bias in order to make them fit better. A garment made of woven fabric is said to be “cut on the bias” when the fabric’s warp and weft threads are at 45 degrees to its major seam lines. Note: The term “cross-grain” in the US refers to the direction perpendicular to the length-of-grain (selvage edges), not the diagonal. Posted in Latest and tagged Design Techniques, Online Learnng, Social Styles, What I Do, Workshops.